This website shares information and ideas with its sister page Optimist Clubs in the Pacific Northwest. One of the things both are known for is the #JoinAnOptimistClub promotion that has been ongoing since September 2014. 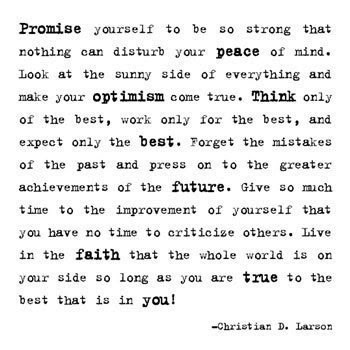 Since that time, www.experienceoptimism.org and www.pnwdistrictoptimist.com have shared more than 200 memes with the hashtag #JoinAnOptimistClub. Most can be found on Facebook on the author's public page. All are meant to be shared. The thought behind the campaign is that many times we forget to ask people to #JoinAnOptimistClub. With this fun twist, maybe we'll be more inviting and our clubs will be more approachable. Share optimism today by sharing a #JoinAnOptimistClub meme. 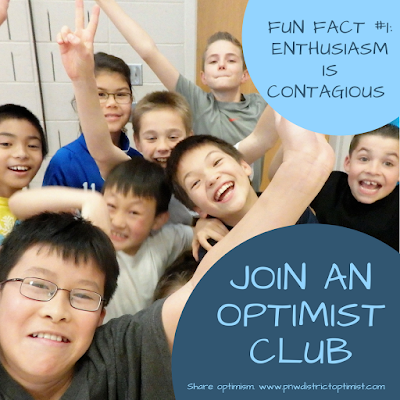 Please send a message if you would like to start a new Optimist Club in your community.